Last MOT at 95004 miles, current mileage 96,700. LONG MOT . Loads of reciepts. Air conditioning Parking aid CD player Child seat points (Isofix system) Suede sports seats Newly Refurbed MV3 Alloy wheels Power steering Steering wheel reach adjustable. This car was collected by us as a runner but with a clutch fault. On inspection all the oil/coolant levels are correct, the engine starts on the key as it should and runs up to temp. The hydraulic clutch slave cylinder is faulty or leaking and the clutch pedal has to be pumped to get pressure. 2016 HPI Clear 120i LCI M Sport 1.6 Petrol 177 BHP Manual. ELECTRIC WINDOWS.ELECTRIC MIRRORS,CD PLAYER. FULL BLACK CLOTH INTERIOR. 1 KEY AND V5 PRESENT. REAR PARKING SENSORS, KEYLESS IGNITION. For sale is my Beautiful 2006 Dark Blue 2.5 Se 6 speed manual BMW Z4. Full BMW service history, MOT 5/12/2019. 2 keys & Handbook. New s/s Sport exhaust just fitted by John Ashley Exhausts. Here is my beloved BMW e46 Compact. I hope this car goes to a good caring owner who will care about it as much as i did. Only 1 key. Overall there is no rust on the car and as shown in the picture there is a small crack on the rear left side pannel. The car will be ideal for spares or repair will be sold with no warranty and Sold as Seen. Cash on collection pick up from BLACKBURN bb1. The original Schnitzer springs have sagged and will need replacing,( shocks were replaced 6 months before parking up. ). MOT until Nov 2019. Complete with wind deflector and roll bars and two boxes of spare bits and bobs. Heres your chance to acquire a cheap run around. bodywork and interior clean and tidy. The gearbox, brakes, and the steering all appear to operate and perform as they should. Full service history, new front disc & pads, one key, Vehicle taken as part ex. The bodywork is in good condition all round with the exception of a few minor scuffs and blemishes due to age and colour, rear bumper been painted. 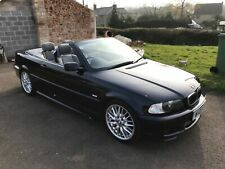 Here we have my BMW 330CI convertible, its a tidy car for its age and drives very well indeed. Here I have a BMW 116i SE. sold as seen no warranty given. 96170 Genuine Miles, Service history up to 61770 miles, full black leather interior, electric hood and electric seats, 2 keys, HPI Clear, Ive bought this Z3 2 years ago to work on it to produce a show room condition car. joethomas vans - Visit us for a test drive any time in between open hours - Call us on 441384885506 or click here to find out more. This car was collected by us as a runner but with a suspected abs fault. On inspection all the oil/coolant levels are correct, the engine starts on the key as it should and runs up to temp. We have also driven this car finding the engine, gearbox, clutch, steering, and brakes all appear to operate and perform as they should. Great little car, just over 90,000 miles I bought it 3 years ago with 69,000 on it. Limited edition model with the factory body kit, also rarer 120i engine. Cash on collection and SOLD AS SEEN. Just to recap drives superbly goes through all 6 gears fine and very clean inside and out. AIRCON (NOT TESTED). PARKING SENSORS. DRIVER & PASSENGER AIRBAGS. MOT MARCH 2020. For sale is our BMW 2.0 petrol coupe in Silver-grey. The car is advertised elsewhere so may end early. 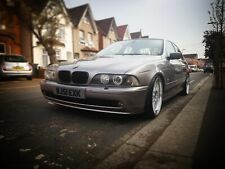 BMW 5 Series 520i 2002 Model. Car is in good condition, starts and drives fine. No bangs and noises, pulls really well. It is a very comfortable car with a smooth engine, a great motorway cruiser. Everything is original and everything works. Getaway Car Sales - Call us on 441263808488 or click here to find out more. BMW 523i e39. 2.5l 6cyl engine which purrs like a kitten. Records of MOT certificates dating back almost 18 years is available and shows the mileage as genuine. The engine is that quiet its difficult to know its running from 10m away. Jet Black soft-top electronic convertible hood. Electric windows. Manual Gearbox. Leather Seats. All details of this current vehicle are listed below. If this does not sound like you then you might want to consider buying your vehicle elsewhere. BMW Z4 3.0i manual. BMW E46 M3 seats with inflatable lumbar and side supports in fantastic condition, much more comfortable than the standard seats. Just been waxed with Collinite 845 sealant which lasts over 6 months. 2008 BMW 325I ESTATE SE IN GREY. LOTS OF HISTORY. FOLDER FULL OF RECIEPTS FOR WORK CARRIED OUT. LOW MILEAGE FOR AGE. MULTI FUNCTION STEERING WHEEL. ALLOY WHEELS. GMC Autos - We may be busy with customers so contact us on 07773799960 or 07847894516 - Call us on 441215160843 or click here to find out more. 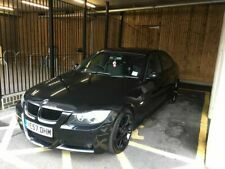 BMW 3 SERIES 1.8I 2 owners low mileage 82,000 low for 57 reg car.